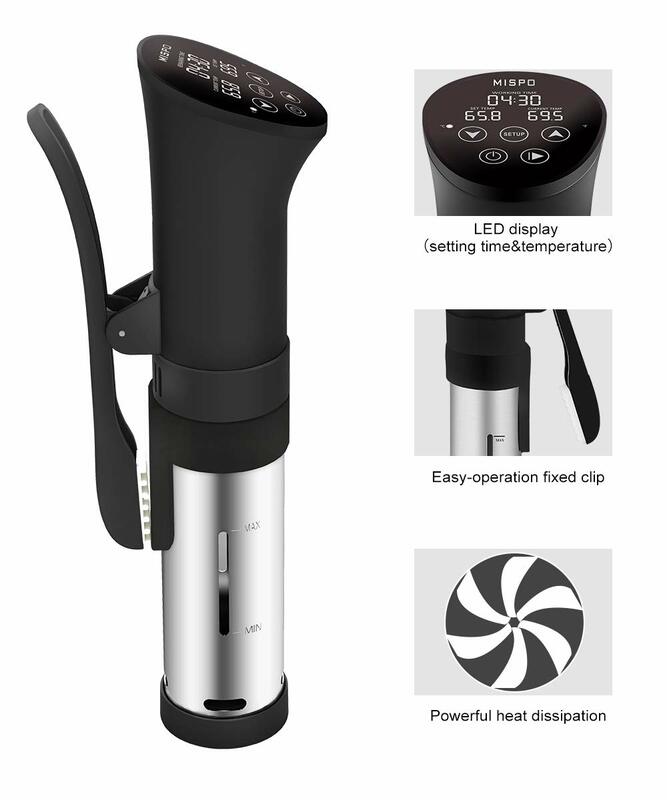 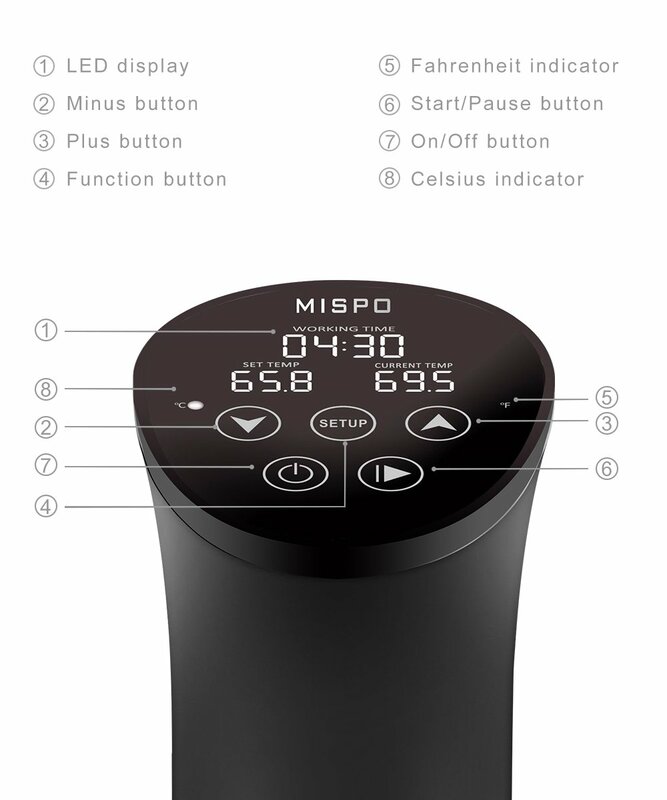 When using MISPO Sous Vide Immersion Circulator, products retain more vitamins and nutrients than other cooking methods. 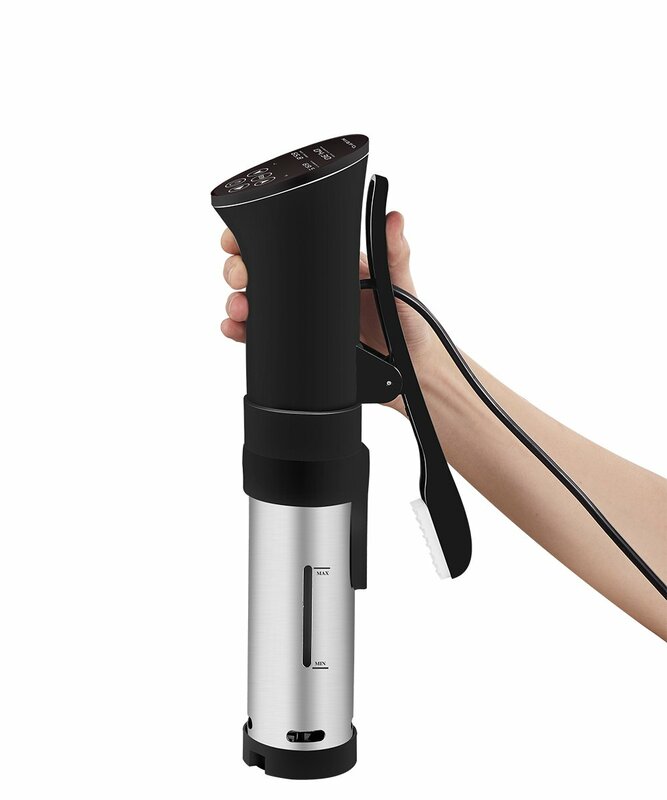 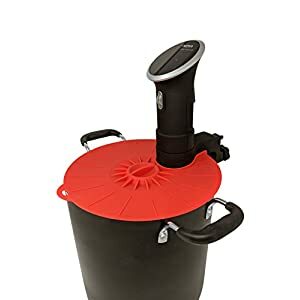 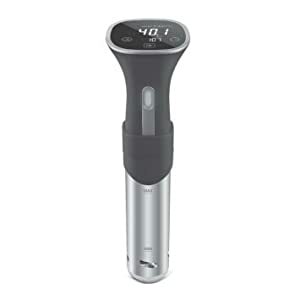 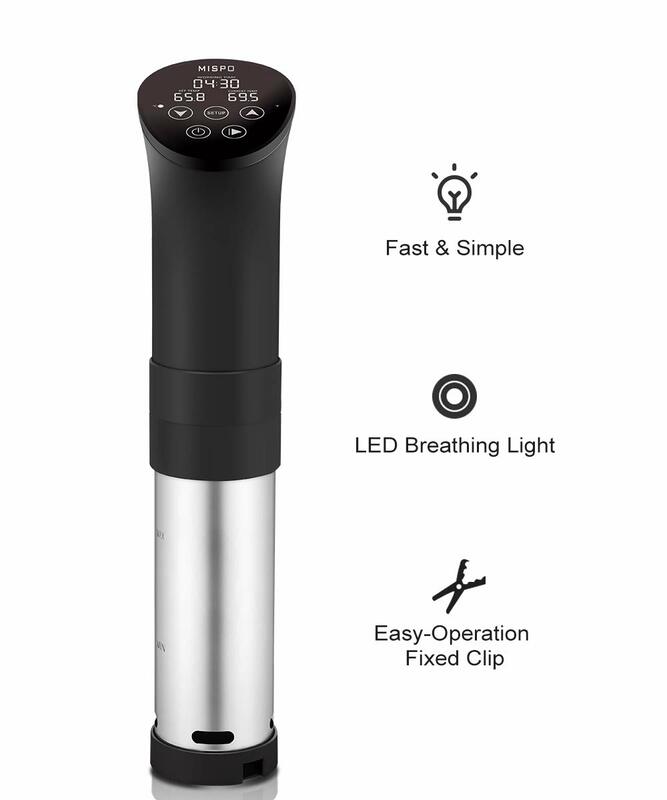 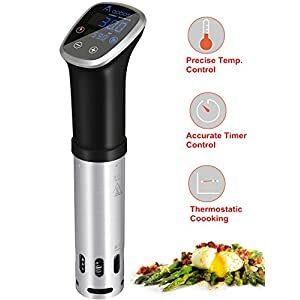 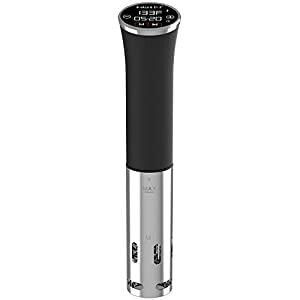 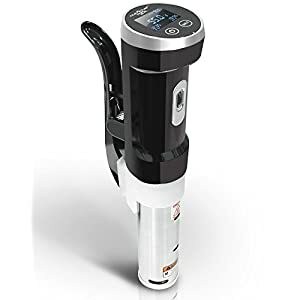 Sous Vide Precision Cooker delivers incredibly tasty, juicy, and delicate dishes through the preparation of food at precisely controlled low temperatures. 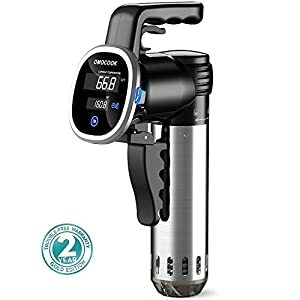 You don’t need to waste time in the kitchen while Sous Vide Cooker prepares tasty and healthy food for the whole family. 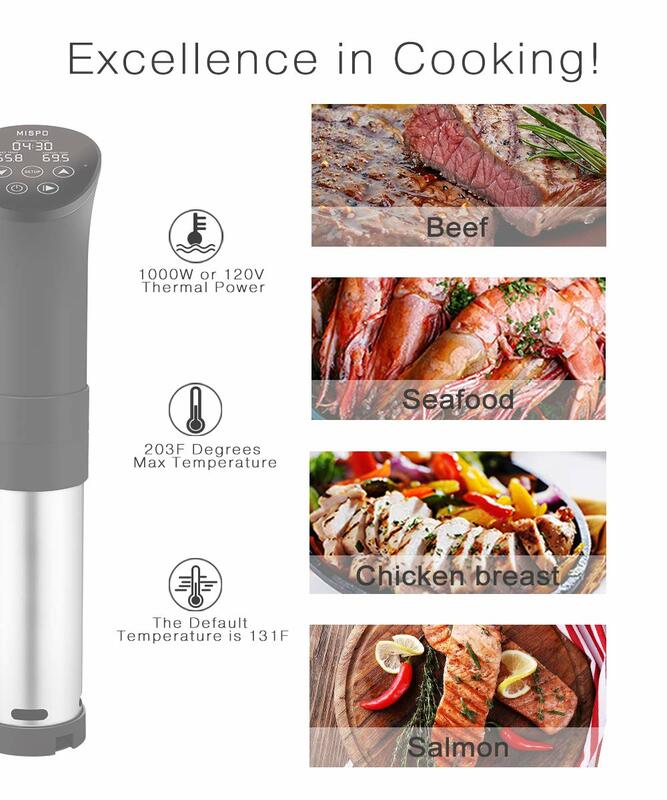 Get incredible results with minimal effort and time! 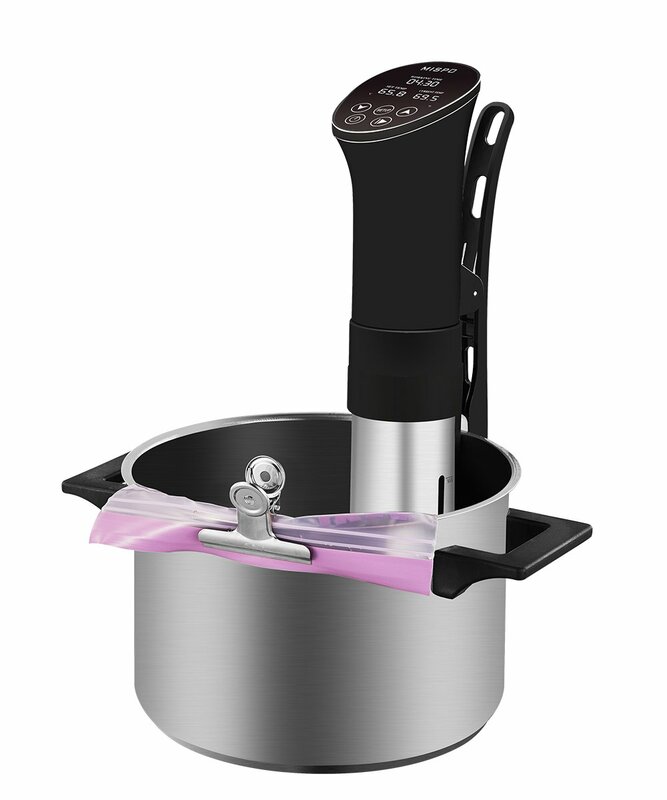 Clean design, single-handed operation: connect the sous vide cooker to any pot filled with water, place your ingredients in a sealed bag or glass jar, put in the pot,press and hold the ON/OFF button for two seconds to switch on the sous vide ,set the time and temperature,then press start with one hand to start the process; Curved design prevents the control panel from being fogged; Food grade stainless steel; Overheating and low water level protection mechanism. 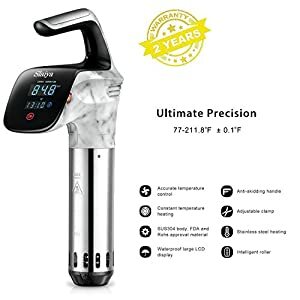 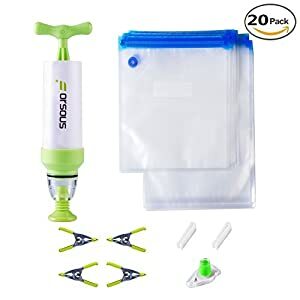 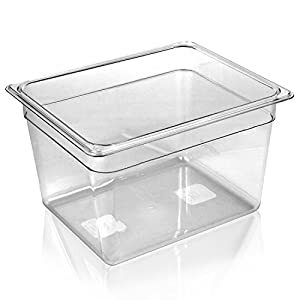 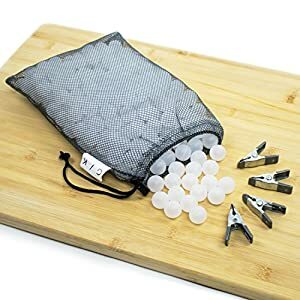 The precision cooker’s detachable stainless steel skirt and disks are dishwasher safe making this kitchen appliance easy to clean and maintain.Sous Vide cooker has certificates ETL that guarantee quality of safety and durability of use.